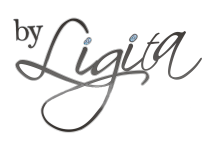 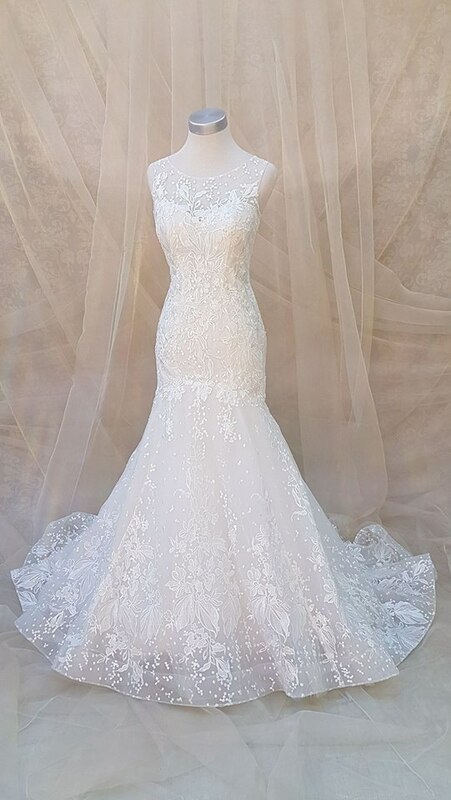 Lauretta is a modern mermaid style gown that will be remembered many years after your wedding day. 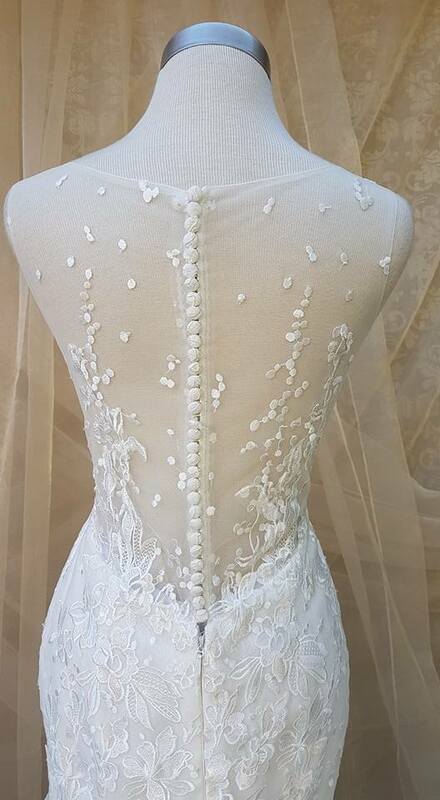 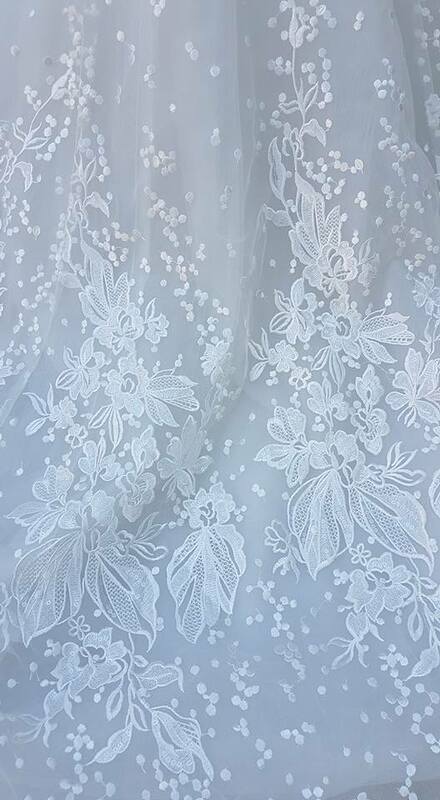 The unique lace in this gown creates "snow flake" effect . 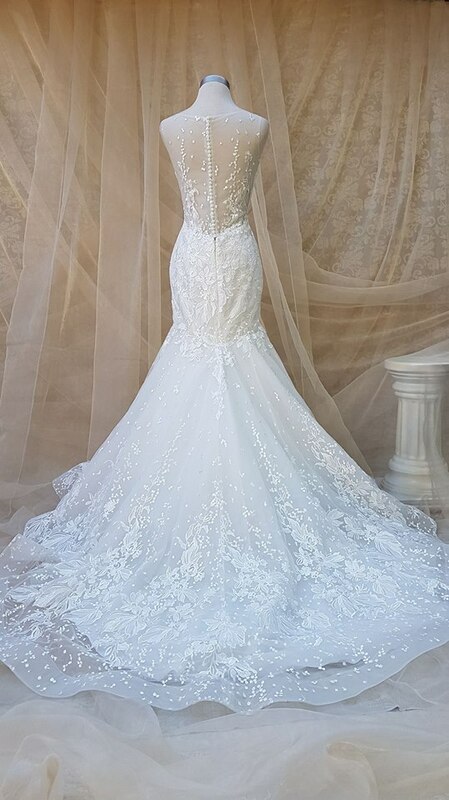 This is a must have gown for brides wanting a modern and chic look.